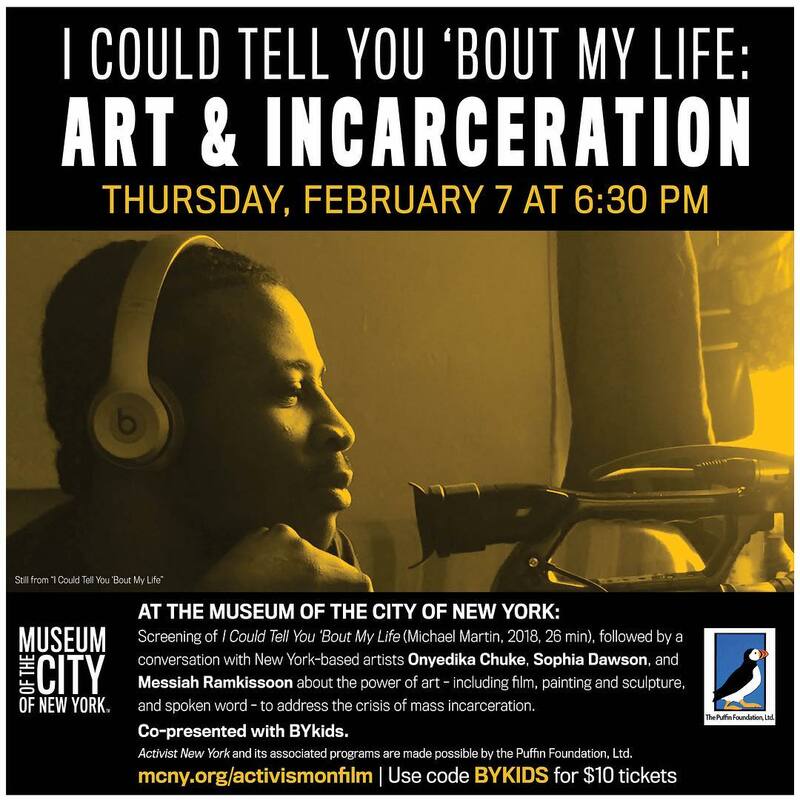 I Could Tell You ‘Bout My Life: Art and Incarceration was filmed, narrated, and directed as a short film, reflecting a young man’s incarceration on Rikers, and the effect it had on his life. This will be the film’s world premiere, followed by a conversation with New York based artists, about the power of art, including film, painting, sculpture, and spoken word, to address the ongoing crises of mass incarceration. This screening is part of the museum’s Activism on Film series, delving into stories of social activism in New York City, and inspired by the museum’s ongoing Activist New York exhibition. Previous Previous post: Three on 3 Presents a Harlem Classical Music Celebration!